A woman of many resources. 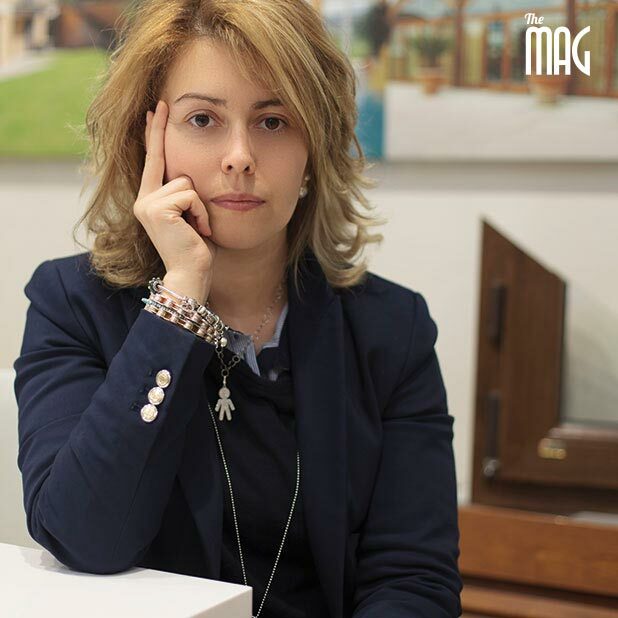 A woman at the helm of a great Tiber Valley firm specializing in fixtures and doors (Bianchini Infissi, to be precise). A woman who, however doesn’t get frightened in a sector that is traditionally male and therefore often (but not always) chauvinist as well. We present you Lorenza Bianchini: strong, determined, one who always has a desire to learn new things when she is between one project and another, but who has very little free time and would like to have a little bit more in order to spend time with her son and perhaps travel; and in fact, in ten years’ time she would happily go to New York. In the meantime, we have met her. To start, how and when did you begin your entrepreneurial experience? «I began working in the firm just after I had finished my studies and attended a course on managing a company organized by Luiss in Rome. Within the firm, like the majority of Umbria’s economy, as well as the national economy, there is a kind of family character, and I wanted to go alongside all the roles in the company: the secretary, the logistics, the purchasing office and the technical office, so that I could understand our company’s dynamics». Since 2002, you have been the CEO of Bianchini Infissi: what are your numbers? «In recent years the firm has grown a lot, today there are about 60 employees besides numerous firms which work for us. We have retailers in all of Italy. We work in all the national territory but we also work abroad: in France, Tunisia, Morocco, Libya and the Ivory Coast». Which area have you developed the most? 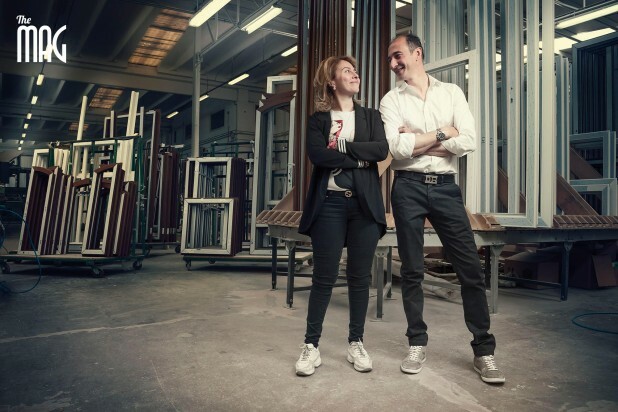 «I have been directly involved in opening the Bianchini Point, these are show rooms where it is possible to find our products and all that surrounds the world of fixtures. We organize events in collaboration with other companies, even of different sectors; the last one we did was “Porte Aperte all’eccellenze” (Doors open to excellence), to give more visibility to the world of innovation and quality. Then in 2008, the branch called “energy” was established with which we have developed a sector of renewable energy. In recent years we have really focused on energy re-certifications of buildings». You can feel the crisis, can’t you? in what way are you trying to respond? «Constantly investing in research, we have patented some systems to offer products and services which are more and more complete. The innovation of the processes of production allows us to be competitive with particular care to the urgent quality controls. Besides this, we are trying to be present at numerous events in our sector, as well as technical and instructive, giving our own contribution». Speaking from a broader point of view, you are in the construction and building industry: how do you feel about managing a company in a traditionally male environment? «I feel great to tell the truth, I love my work and I do it with passion: I’m a person who loves to stay with people, even though I admit, it hasn’t been easy and it isn’t easy now. On more than one occasion, it has happened that professionals in my sector have told me that it is strange to talk to a woman about technical details». «I like it that with our products we contribute to well-being, to comfort and to home design of people». And what do you like less? Have you ever thought about bringing your experience into other sectors? «I am a member of the Rotary Club, even though I admit, I have not given them much of my time lately, I am vice-president of the Gruppo Giovani Imprenditori Umbri and Territorial advisor of the Confindustria of Città di Castello. I feel that it is every citizen’s right to contribute and help others, as each one can, but for politics I still have time to get involved…». Yes, in fact, you are a member of the Gruppo Giovani Imprenditori. What kind of experience is it? «I have been a member of the Gruppo Giovani since 1998, as soon as I turned 18; it is a very important experience, it has contributed in a fundamental way to my development. I have met many friends and colleagues and I have to say that confronting one’s self with others who find themselves facing your same difficulties is a great school. Ideas, stimulations, experiences and training give you motivation and enthusiasm to do this job». Have you ever thought about changing your life completely? «I believe that every one of us loves daydreaming about being on an island…but then family and work – which are my motors – make you return to reality». Which are, according to you , the abilities that an entrepreneur must have in order to be successful? «Intelligence, professionalism and above all, curiosity». «I see myself in New York…». Tell me about a dream you have. «To be able to travel more». We often find ourselves talking about the difficulties of reconciling having children and working: is it the same for you as well? «Yes, it’s complicated to reconcile family and work; I try to do it as best as possibile and I am convinced that women, if they want, have a leg up!». How do you evaluate the situation of women in Italy in regards to this argument? «Women have the same rights as men, but in reality it is not like this. Today there are women managers, women who have a career in politics and even women scientists, women pilots, women designers, who many times find themselves compelled to choose between keeping a job or having children. And this is not right». How do you manage to put every piece into place? «It’s not easy: with sacrifice, hard work and a lot of passion». At the end of the day, you return home: what do you choose, a film or a book? «I choose to stay with my son, absolutely». What would you like to pass on to him?